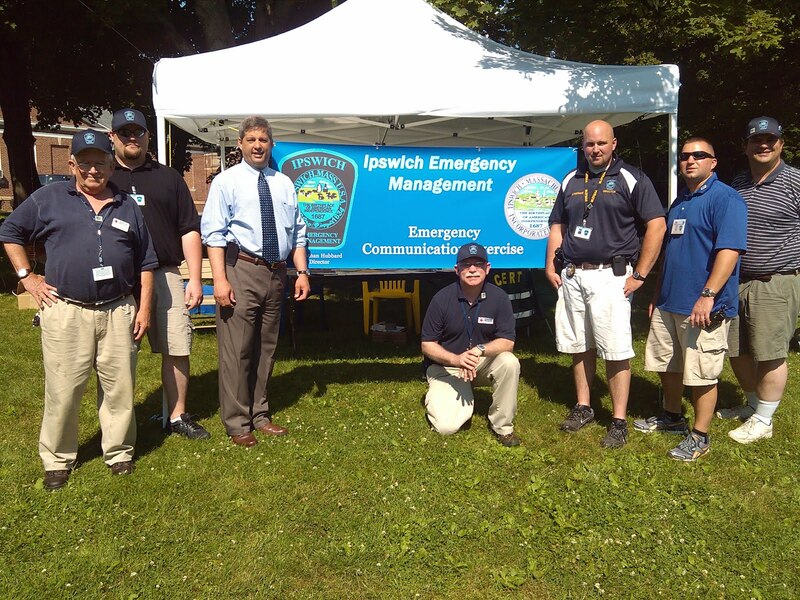 On Saturday, June 23 the Amateur Radio Relay League (ARRL) hosted its annual 24 hour Field Day Event, where thousands of amateur ham radio enthusiasts gathered at different locations across the nation to test field preparedness and emergency communications abilities. Field Day is the largest on-the-air operation of the year and in 2011 contest logs were submitted by 2,666 clubs, groups and individuals across the United States, Canada and many other countries to the ARRL Contest Branch. These logs also showed a record participation by 39,246 individuals. 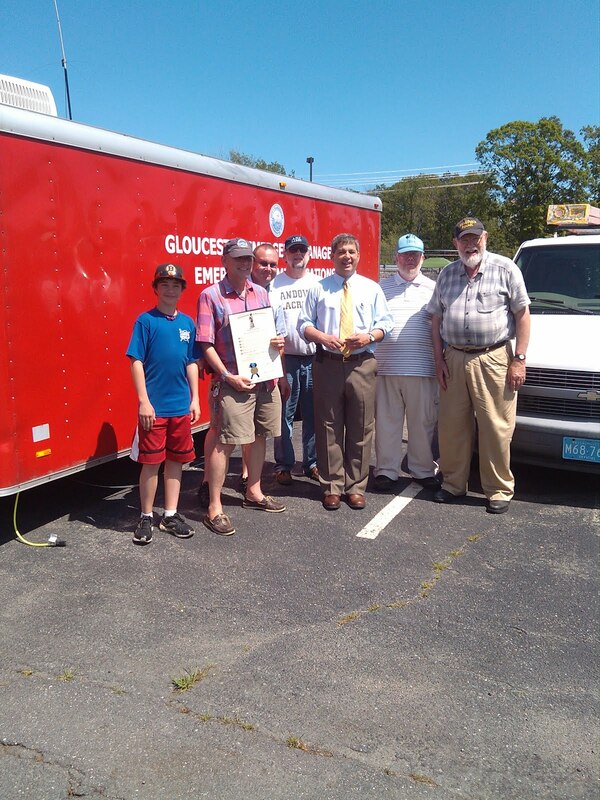 During the Field Day Event I was able to present a Governor’s Proclamation to the Cape Ann Amateur Radio Association and the Ipswich Emergency Management Agency. Their spirits were high as they made contact with others thousands of miles away. To learn more about the ARRL or Field Day please click here to view the organization’s web page. Posted below are two photos from the day’s event.